How Much Can I Fit in a 2 Metre Bin? The capacity of a 2 cubic metre bin is roughly comparable to 2 standard car trailer loads. This adds up to 3 tonnes of heavy material such as dirt, bricks and concrete. There are some items that we can’t take in our skip bins, such as paints, liquids, chemicals and other hazardous substances. Some items may also involve an extra charge, such as palm tree trunks and mattresses. At Matt’s Skip Bins, we always keep you in the loop, ensuring you know what you can put in your bin while avoiding hidden charges. What Can Go In A 2 Metre Skip Bin? If you need assistance with any other types of waste, such as asbestos, please let our friendly team know. 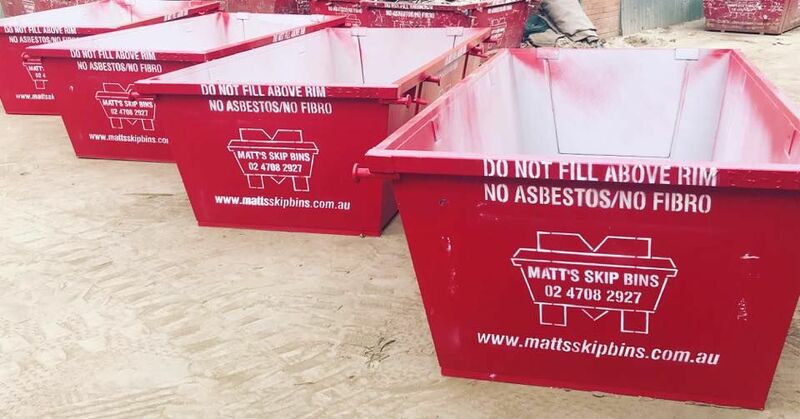 For small clean-ups, no matter what type of waste, you can rely on Matt’s Skip Bins to have the 2-metre skip bin for the job. If you’d like to learn more, contact our friendly team today. 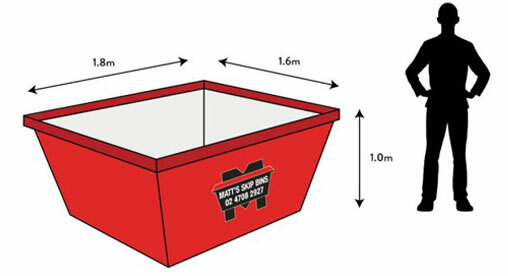 Alternatively, if you’d like to book one of our 2-metre skip bins, click the button below.